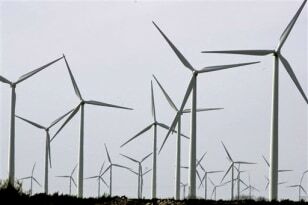 Fields of windmills spinning in the breeze and deserts covered with solar panels are familiar options for renewable energy. But they are far from the only technologies under consideration. Click the "Next" arrow above to check out six other green energy ideas that are so wacky they just might work. Leaves, observers will note, convert sunlight into energy efficiently to stay alive through photosynthesis. Now scientists are racing to create artificial leaves and trees to power our lives as well. A team at Imperial College London is trying to build leaves that mimic photosynthesis to generate clean fuels such as hydrogen and methanol, The Guardian newspaper reports. Another company, London-based SolarBotanic, is in the R&D stage of building artificial trees fitted with "nanoleaves" that generate electricity from sunlight and heat. 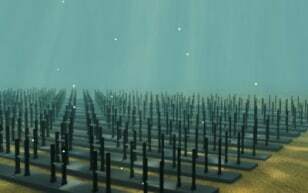 In addition, piezoelectric generators capture energy from the wind, sound and rain. In theory, the trees will blend in with their surroundings, providing an aesthetically appealing source of energy. 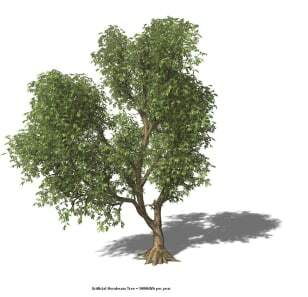 An illustration of an artificial hornbeam tree is shown here. "Snakes on a Plane" made a splash at the box office, and now British researchers are hoping snakes in a wave will make a splash in power generation. The concept calls for placing a long, enclosed, water-filled rubber tube just below the sea surface, with one end facing oncoming waves. As rollers hit the tube, they squeeze it and generate a "bulge wave" reminiscent of a meal inside a real snake. The wave pushes the bulge along the tube, causing it to get bigger as it goes along. At the end of the tube, the bulge wave spins a turbine to generate electricity that is shipped to shore via a cable. The project, called Anaconda, is under development at the University of Southampton. A full-scale Anaconda, researchers say, would be about 660 feet long, 25 feet in diameter and capable of generating 1 megawatt of electricity — enough to power 2,000 British homes. An artist's concept for the Anaconda is shown here. Solar power from outer space may not be such a far-out idea after all. California energy utility Pacific Gas & Electric agreed to purchase 200 megawatts of electricity that Solaren Corp., a startup company, plans to beam down from solar panels in Earth orbit beginning in mid-2016. The companies said the energy should be competitive with other forms of energy production when it comes to performance and price. 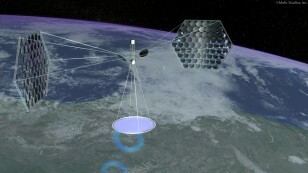 While the specifics of the set up are not yet public, this artist's rendering shows how a space solar power system might work. An advantage over ground-based solar power is the ability of space solar satellites to generate power 24 hours a day — as they are unaffected by cloudy days and Earth's day-night cycle. Some scientists and engineers are looking out to sea with fresh eyes, focusing on an old idea for generating electricity from the temperature difference between warm surface waters and cold water at depth. A few pilot projects were attempted in the 1930s and late 1970s, but were abandoned due to high costs and technical limitations. 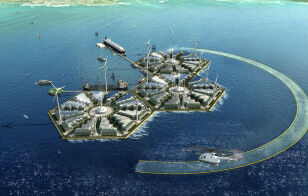 Improved structural engineering and more favorable market conditions are spurring backers of the Energy Island concept shown here to try again with a more integrated approach. It goes like this: Warm surface water is evaporated in a vacuum, producing steam to drive a turbine that generates electricity. Cold water pumped up from depth causes the steam to condense as desalinated water. Wind turbines, solar cells and wave energy converters kick in additional juice. A few islands linked together could produce enough energy to power a small city and desalinate a tanker's worth of water a day, the company says. There's something fishy about the way the cylindrical rods depicted in this illustration capture energy from slow-moving ocean and river currents, according to University of Michigan engineer Michael Bernitsas. 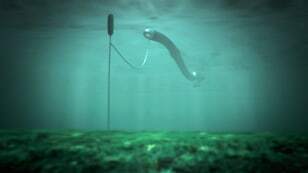 As water flows past the rods, it creates what are called vortex-induced vibrations. The eddies, or swirls, form in an alternating pattern, pushing and pulling an object up or down or side to side to create mechanical energy. Bernitsas and colleagues are developing technology to capture this mechanical energy and convert it to electricity. The concept, called Vortex Induced Vibrations for Aquatic Clean Energy, or VIVACE, was inspired by fish. "Fish curve their bodies to glide between the vortices shed by the bodies of the fish in front of them. Their muscle power alone could not propel them through the water at the speed they go, so they ride in each other's wake," Bernitsas explains. An array about the size of a running track and about two stories high could generate enough electricity to power about 100,000 homes, according to project researchers. Chances are that CO2-emitting forms of energy generation are not going to completely go away any time soon, and even if they do, the atmosphere would retain their legacy of greenhouse gases. That's where the structure shown in this drawing comes into play. Researchers are hoping it will behave like a tree and scrub carbon dioxide from the atmosphere. The so-called artificial tree is one of several ideas under development that use a proprietary absorbent material to trap carbon dioxide from the air. The gas is then stored, and the absorbent material is recycled to capture even more carbon dioxide. 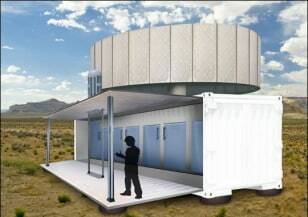 The design shown here is from Tucson, Ariz.-based Global Research Technologies. The company envisions selling the trapped gas to users such as greenhouses to enhance plant growth and soda makers for carbonation. Oil and natural gas companies could pump the gas underground to force more petroleum to the surface. The main hurdle to the technology is economic feasibility.